​For glaze: you will need 1 teaspoon of gelatin. 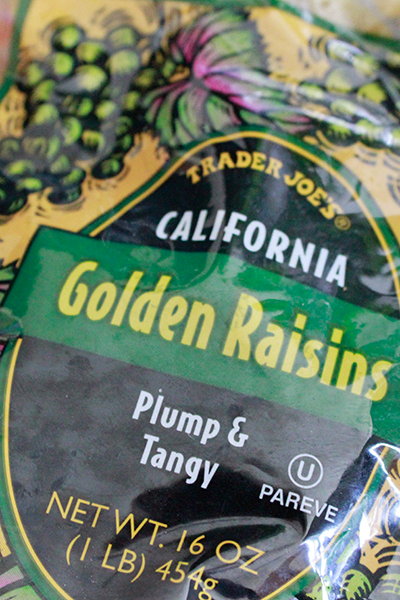 Tip: I sometimes use some dried cranberries or even dried blueberries as part of the two cups of raisins. ​1. Cream yeast with 1 teaspoon of each sugar and flour, add lukewarm milk and mix well. Cover, stand in warm place 10 - 15 minutes or until mixture is frothy. 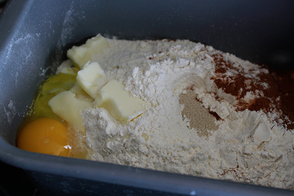 In separate bowl: sift flour, salt, sugar and spices, rub in butter, add beaten egg, sultanas and yeast mixture, beat well. ​2. Cover bowl will clean cloth and stand in warm place 40 minutes or until dough doubles in size. ​1. Place lukewarm milk in baking pan, add flour, then sugar, salt, spices, butter and make a well to put in 2 teaspoons of bread machine yeast. Start bread machine using dough setting. After beep add raisins. 2. Once cycle has completed - remove from bread machine. 4. 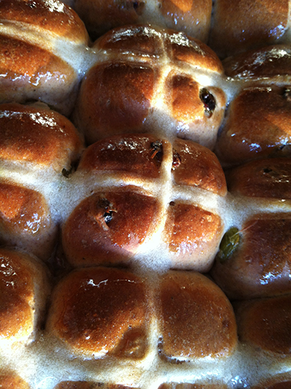 Put buns in lightly greased rectangular pan - I use a 9" x 12" Pyrex pan- and stand in warm place until buns have doubled in size - I cover with a clean tea towel and place in warm oven (100 F). 5. 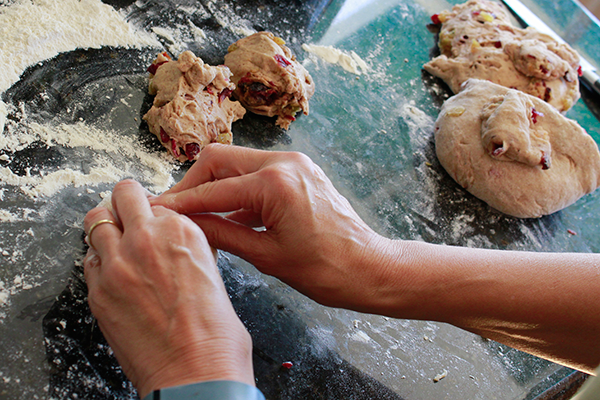 To make crosses: sift 1/2 cup of plain flour and mix to paste with 1/3 cup of water. Fill into a small plastic bag with hole cut into the corner to make a piping bag. Pipe crosses on each bun. 6. 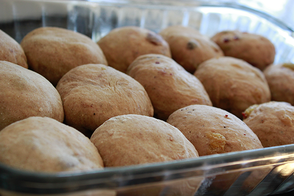 Bake in hot oven (400 - 450 F/200 - 230 C) for 15 - 20 minutes. 7. Remove from oven and immediately brush with glaze made by dissolving 1 tablespoon of sugar and 1 teaspoon of gelatin in 1 tablespoon of boiling water. 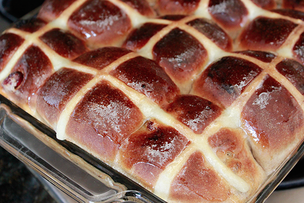 Hot cross buns are spiced sweet buns made with raisins or sultanas and marked with a cross. 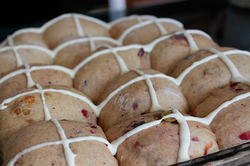 Traditionally eaten on Good Friday in Australia, Britain and some other Commonwealth countries, the buns mark the end of Lent. The cross represents the crucifixion of Jesus and the spices signify the spices used to embalm him at his burial. Acknowledgement: this recipe hails from The Australian Women's Weekly but I have significantly increased the amount of dried fruit and spices.